Paintings become more brittle over time, causing further susceptibility to structural damage that could possibly lead to tears. 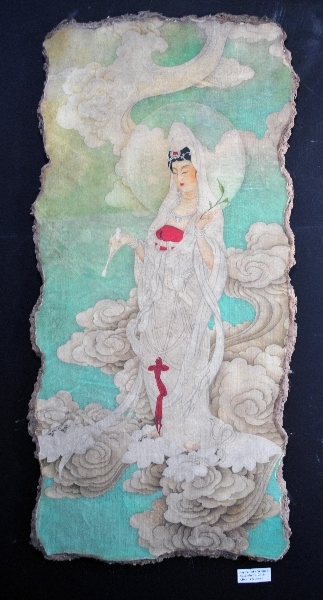 Torn painting restoration and tear mending are some of Lis Art Conservation’s areas of expertise. 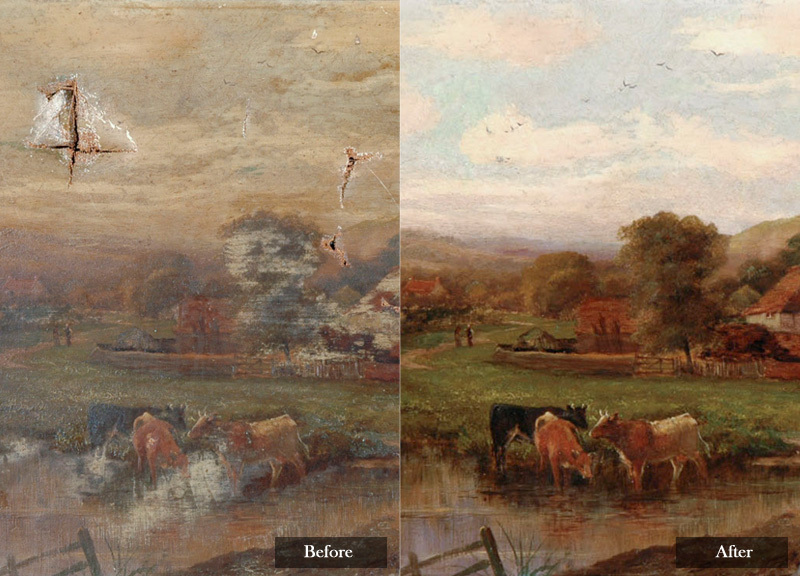 We understand the intricacies associated with repairing damaged artwork, especially the restoration of a torn canvas painting. That’s why we assess each project individually to ensure suitable treatments are selected. We strictly adhere to the guidelines of the American Institute of Conservation to give you comfort and confidence in knowing your artwork will receive proper care. 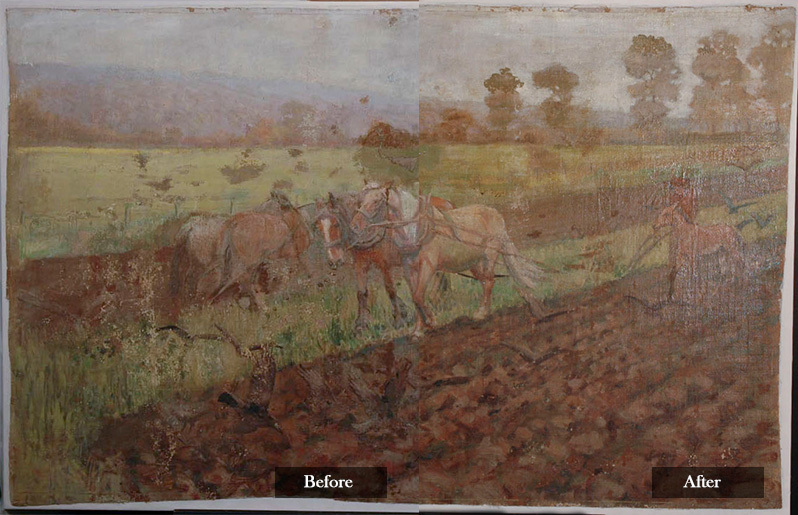 All treatments we select to repair your torn painting are reversible and as noninvasive as possible so your artwork maintains its physical integrity. 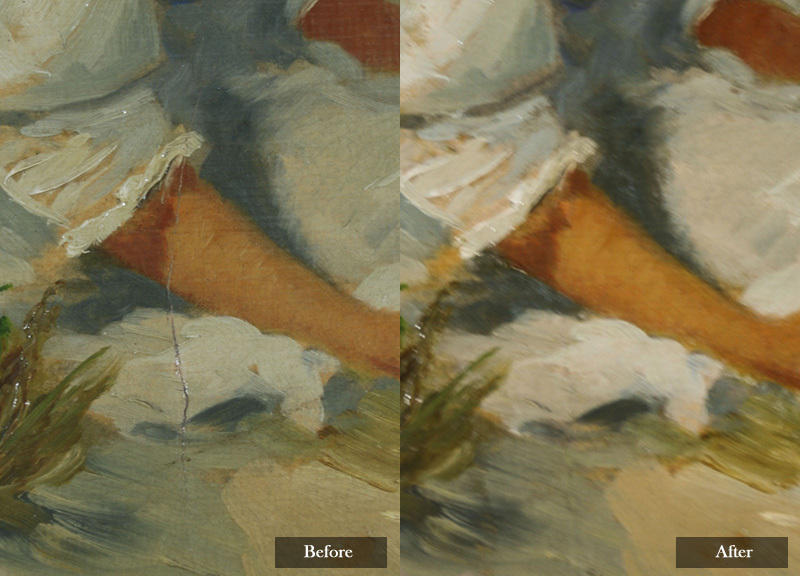 Above all else, it is our goal to restore your painting, render the damage invisible and honor the artist’s original work. If you have a torn canvas painting that needs restoration, contact us today to learn how we can repair your painting’s structural damage.